The Dior Garden Party Spring Look for 2012 is every bit as fresh and exciting as you’d expect. With harmonious hues of green, lilac and pink, the collection offers a haute couture look that’s straight from the catwalk. The concept is a flower party in the Dior Gardens, with tender pastel tones brought to life in a delicate and glowing way. Take a look below at just some of the gorgeous things on offer for a limited time.. This is the star product of the Garden Party collection, and offers a complete look for glowing eyes and lips. Sensual tones of indigo, lilac and pale pink for the eyes are complimented by pale pink and coral pink balmy glosses. This is the star product of the Garden Party collection, and offers a complete look for glowing eyes and lips. Sensual tones of brown, rosy pink and aqua for the eyes are complimented by neutral pink and coral pink balmy glosses. This fresh take on the smoky eye includes a pearlescent sage green to highlight, a deep forest green for contouring, and a beautiful glittery green for accenting the eyes. Create hypnotising smoky eyes with this gorgeous trio of colours. 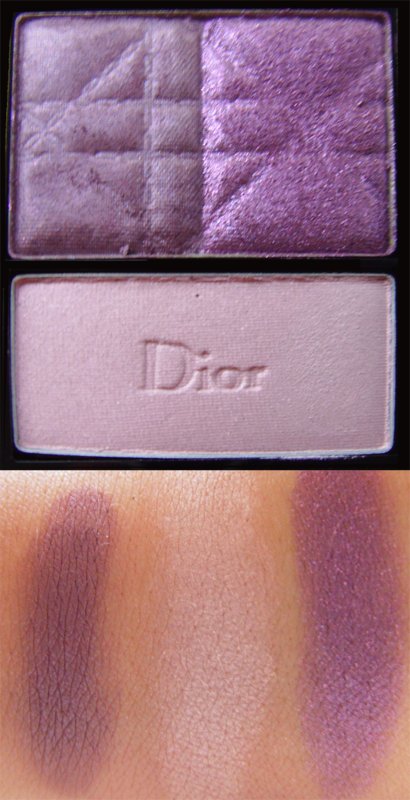 The pearlescent lilac shade is the perfect highlight, the deep mauve defines, and the glittery purple makes eyes glow. 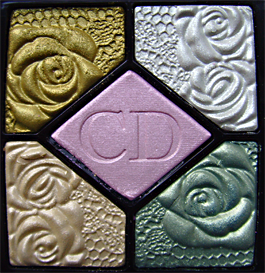 This handmade limited edition embossed palette is made up of five pearlescent shades, including golden green, silver, teal green, goldenrod and petal pink. 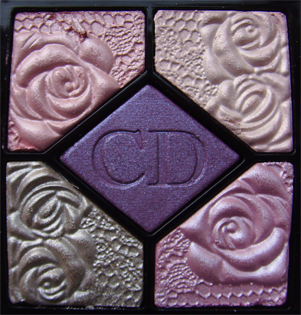 This handmade limited edition embossed palette is made up of five pearlescent shades, including rosy pink, pale pink, dusky rose, pewter and violet. This brand new blush offers a customisable colour for the cheeks, utilising a technology that is able to adjust to the moisture and heat of the complexion. 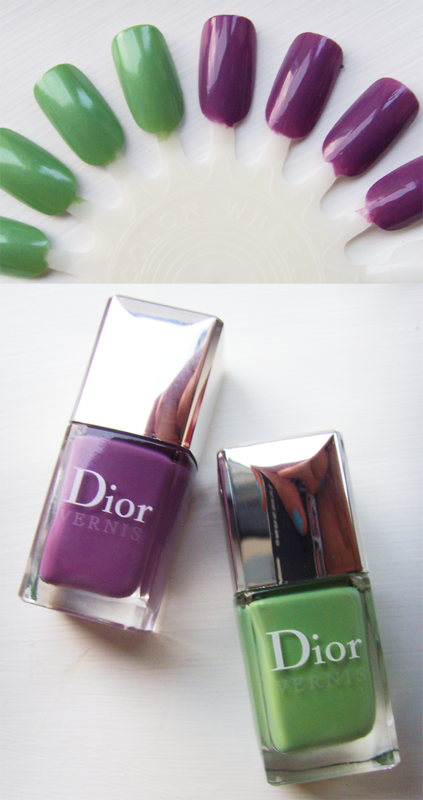 These two limited edition Dior Vernis are a little bit special – not only are the haute purple and the fresh green key seasonal colours, but each they’re scented with a delicate rose fragrance. The luxurious texture of the Rouge Dior lip colour is given a new spring in its step with two directional shades of pink. The almost-coral Tulip Pink shade is perfect for warming up the skintone, while the cooler Corolle Pink brightens the complexion wonderfully. This supple and silky formula feels almost balm-like on the lips. Give lips a subtle wash of cool pink with the Pink Dew Serum, or simulate the appearance of just-kissed lips with Petal Serum. The ultra glossiness and high impact shine of Dior Addict Gloss is infamous, and when paired with the candy shades of the Garden Party collection, lips are made irresistible. From Party Lilac’s subtle wash of lavender and glitter, to the frosty pale pink of Socialite Pink, to the warm milky pink of Pretty Rose, there’s a colour for everyone. 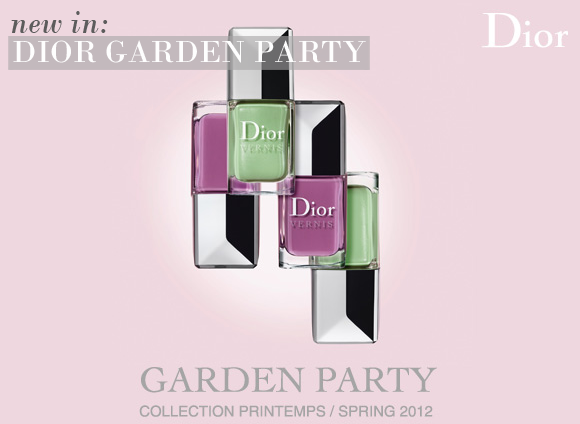 Take a look at the entire Dior Garden Party Spring Look 2012 right here. I missed out on this compact when it first came out and was thrilled to find it here on escentual.com. 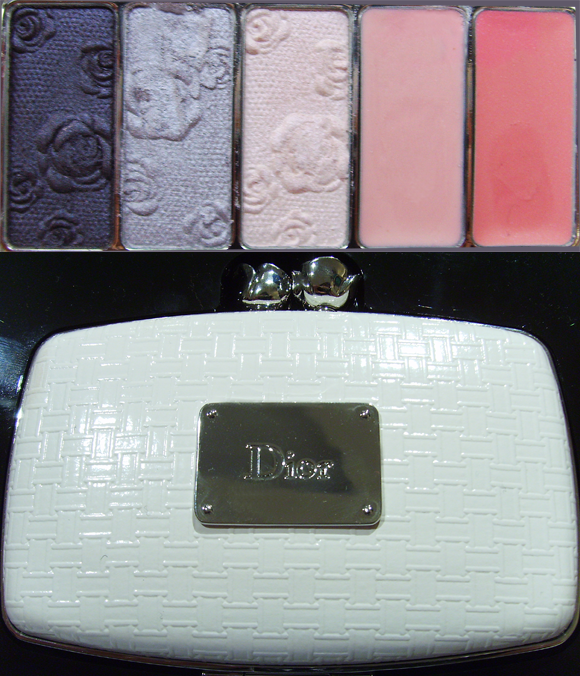 Leave it to Dior to come up with yet another beautiful Ltd. Edn. compact that's almost too grogeous to use! 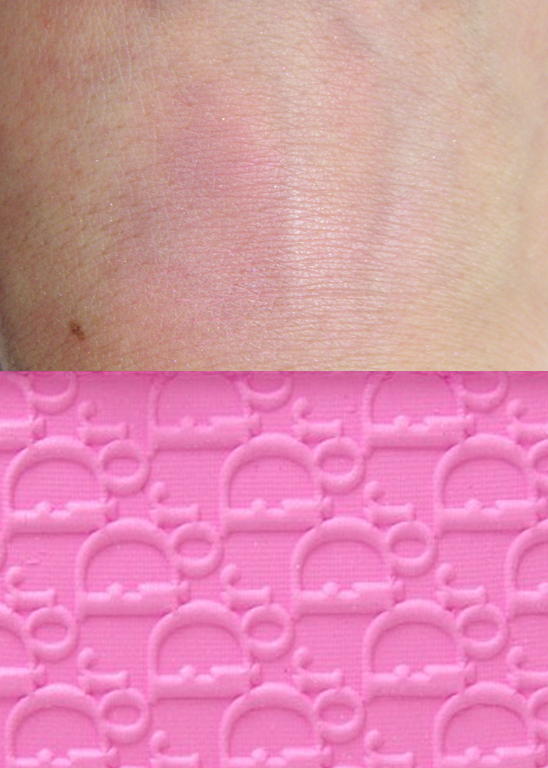 This entry was posted on Monday, January 16th, 2012 at 10:08 am and is filed under Special Post, Spotlight On, Swatches, Tried & Tested. You can follow any responses to this entry through the RSS 2.0 feed. You can skip to the end and leave a response. Pinging is currently not allowed. Will you be reviewing Dior New Look quints in particular Bleu de Paris?